It’s been a long time between drinks for Clairaudience; started in 2005 by Feral Media founder Danny Jumpertz and his wife Caroline the band released an instrumental improv debut album in 2007 as part of the POW WOW new music series. In 2013, once core members Danny and Caroline had emigrated to the USA, the band found new members in Franzi Szymkowiak, Kerrii Cavanagh and Heidi Patalano, and started gigging around New York’s Lower East Side, East Village and Brooklyn. 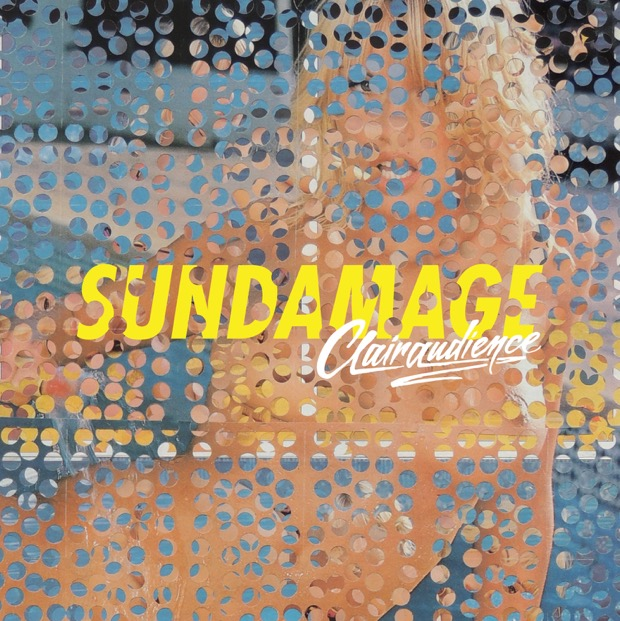 Sun Damage is the band’s first release with the current line up and is a summery mix of power pop soulfulness, gaffer taped together by the DIY aesthetic that drives the band. The release also marks the first results of an ongoing collaboration with producer Abe Seiferth (Yeasayer, Eleanor Friedberger). Featuring stunning artwork by former band member Martin Kirkwood, Sun Damage is available digitally and also as a limited edition cassette via the Feral Media bandcamp store here. This entry was posted in Releases and tagged abe seiferth, clairaudience, sun damage on June 26, 2015 by feralmedia2.